Images and text convey powerful messages. We had these images shared with us and thought it would be worth reflecting on how these old advertisements were worded. Call it a glorified ad campaign. Call it a quasi-holiday. Call it whatever you want, but Amazon’s third annual Prime Day is here. And this year, Amazon isn’t the only one celebrating. Amazon introduced its first Prime Day in 2015 as a super sale exclusive to Prime members. Last year’s installment increased global sales more than 60% compared with the first year. Unlike past iterations, which ran 24 hours, this year promises an extra six hours of savings, stretching from 6 p.m. Pacific Time Monday until the end of the day Tuesday. Thanks to the success of previous Prime Days, and Amazon’s growing dominance in the retail market, competitors — including Target, Kohl’s and J.C. Penney — are hoping to cash in on deal-seeking shoppers by holding their own concurrent sales. The story is bigger than Uber. If an agency wants to win Facebook’s own ad awards, it doesn’t hurt to use the platform’s latest formats and technology. Aside from celebrating innovation, after all, the company is trying to showcase what marketers can achieve on Facebook and its Instagram unit. The Facebook Awards winners revealed Thursday included campaigns that adopted innovations like vertical videos in Instagram Stories and live 360 video. One winning campaign featured a chatbot built to talk with Brazilian teens about alcoholism on Facebook Messenger. Bacardi USA created a DJ experience using Instagram Stories controls. Starting next school year, under U.S. Department of Agriculture regulations, local education agencies or school districts must have in place a “local school wellness policy” to create a school environment that promotes students’ health, well-being, and ability to learn. Under the baseline policy, all foods and beverages sold to students must meet USDA nutrition standards, and products that don’t meet those standards can’t be marketed in schools. This is a great start, but leaves a lot of wiggle room for food companies to take advantage of kids. Corporations are anxious to market in schools—when kids are captive, young, and impressionable—to create brand loyalty for life. Kids in school can’t “change the channel,” and anything advertised in a school comes with the powerful endorsement of the school or faculty. No products should be marketed in these spaces. Campaign for a Commercial-Free Childhood (CCFC) shares with us some great new tools from ChangeLab Solutions to stop marketers from targeting kids in schools. Food and Beverage Marketing in School Wellness Policies, model policy language for limiting unhealthy marketing to students. Restricting Food and Beverage Marketing in Schools, a fact sheet that outlines policy options for districts that want to go beyond the minimum requirements and address all in-school food marketing. Several articles recently came to our attention regarding alcohol consumption among teens and new regulations regarding fiber ingredient labels. The first piece, entitled “How are underage drinkers influenced by alcohol ads?” explains how targeted marketing impacts the drinking habits and potential purchasing power of teenagers. Read more at Drug Addiction Now. The second, “Snacks with added fiber a part of Nutrition Facts delay,” explains how a new labeling rule could change how much fiber is listed for some snack bars and cereals. Evian’s latest outing for its “Live Young” babies puts the adorable tots into oversized adult clothes. 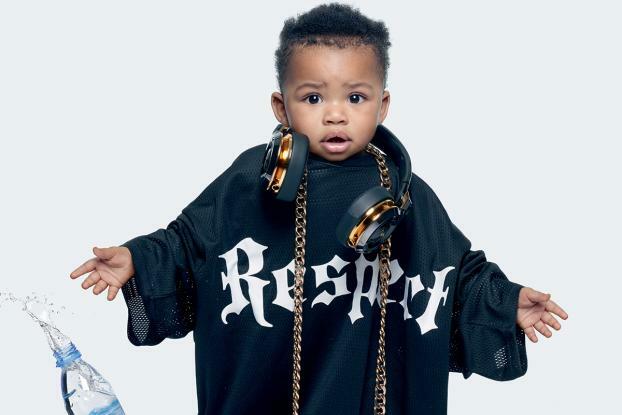 The new campaign, by BETC, shows the babies swamped by the grown-up outfits. This time there’s no TV ad; instead the images are running as print, outdoor and on social media including Snapchat and Instagram. Video clips feature Evian sport spokespeople Madison Keys, Stan Wawrinka, Lucas Pouille, Lydia Ko and Maria Sharapova, who drink Evian and then turn into baby versions of themselves. The campaign, running in the U.S., U.K., France, Belgium, Netherlands and Germany, will include a limited edition Snapchat lens filter. Launching on June 10, it’ll be available for 48 hours to all Snapchat users around the world and will then be available for three months through a Snapcode on Evian bottles. In an inspired packaging stunt, Ogilvy London has created a limited-edition set of Dove Body Wash bottles that come in various shapes and sizes, communication the brand’s longtime celebration of body-diverse beauty. Read more at Ad Week. Image courtesy of Ad Week. After a sexual harassment scandal and subsequent advertiser boycott effectively put the top-rated cable news show out to pasture a week ago, sponsors have begun drifting back to the time slot “The O’Reilly Factor” occupied for more than two decades. While the volume of advertisers in the first 8 p.m. edition of Fox News Channel‘s “Tucker Carlson Tonight” was relatively light — with 17 brands accounting for nine minutes of airtime, the commercial load was at half-strength compared to the hour’s standard array — Monday night’s opener was graced by a number of sponsors that had pulled out of “The O’Reilly Factor” in the midst of a three-week freeze-out. Bill O’Reilly’s name was effectively wiped from Fox News on Wednesday night, with the show he anchored for two decades, “The O’Reilly Factor,” renamed simply “The Factor.” While the cable news behemoth has taken steps to distance itself from O’Reilly, however, advertisers that fled the show this month after The New York Times reported on sexual harrassment allegations against him are so far remaining quiet about whether things will return to business as usual now that his exit is official. Wednesday’s episode of the show, anchored by Dana Perino, had the lightest ad load to date since the April 1 Times report, excluding a shortened episode on April 6 when the show was interrupted by breaking news of the U.S. missile strike against Syria, according to iSpot. After the rise of ‘femvertising,’ is ‘oldvertising’ the next big thing? Reebok’s new brand ambassador in China isn’t a taut young athlete, a muscular sports star or a dewy-cheeked model. It’s Wang Deshun, an 80-year-old grandfather who became an instant star after baring his super-ripped torso on the runway at Beijing Fashion Week in 2015. What’s more, Mr. Wang is not the first octogenarian to front a major sports brand’s campaign. Last year Nike centered an ad that ran during the Olympics on 86-year-old nun Sister Madonna Buder, who competes in Ironman races. These are just two examples from a string of recent ads from all over the world in which the seniors have taken the spotlight. Meanwhile, the way brands target this age group is also changing. Read more at Ad Age Creativity. Video courtesy of Ad Age Creativity. 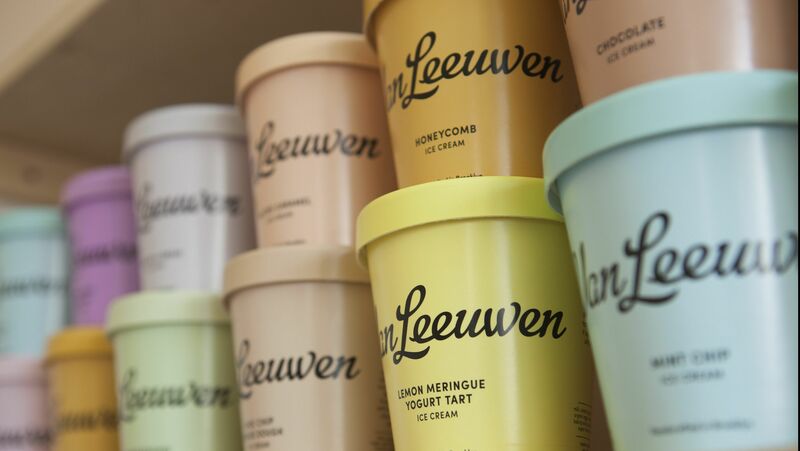 A curious thing happened when high-end ice cream brand Van Leeuwen redesigned their packaging: People began snapping pictures of supermarket freezers. “Didn’t even crave for ice cream but just because of the cute packaging,” wrote a customer who shelled out almost $20 for a pink pint of strawberry and an amber-colored container of salted caramel. Such transactions driven by eye-candy, coupled with a new distribution and merchandising scheme, saw the nine-year old Brooklyn business boost sales by 50% since last fall. Redesigning packaging so it “looks good on social media,” is a deliberate strategy. Van Leeuwen co-founder Laura O’Neill and partners Pete and Ben Van Leeuwen worked closely with storied design firm Pentagram to make their pints and trucks “very Instagrammable,” says O’Neill.